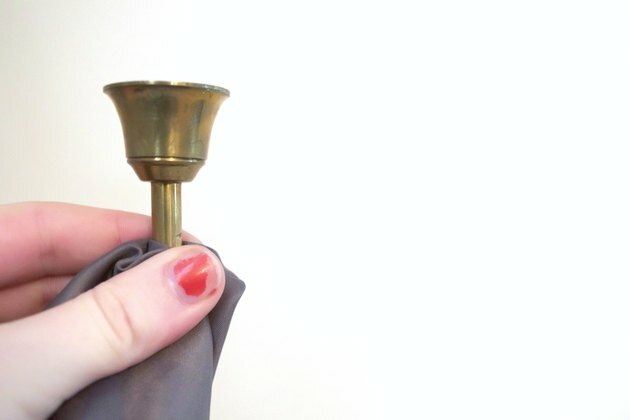 Give your brass candlesticks a fresh appearance by removing unsightly smudges, grime, dirt and tarnish. 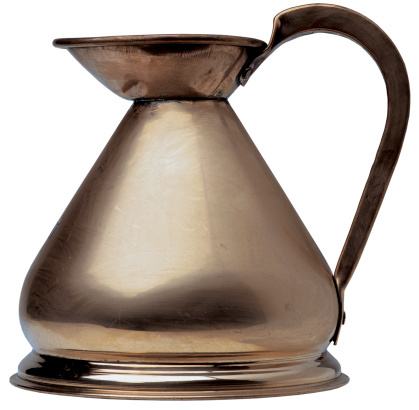 Choose a cleaning method that accommodates the type of brass -- solid, plated, lacquered or unlacquered. Steer clear of harsh cleaning tools and products, such as steel wool pads, abrasive cleansers and metal brushes to avoid possible scratching and marring of any brass candlestick style. 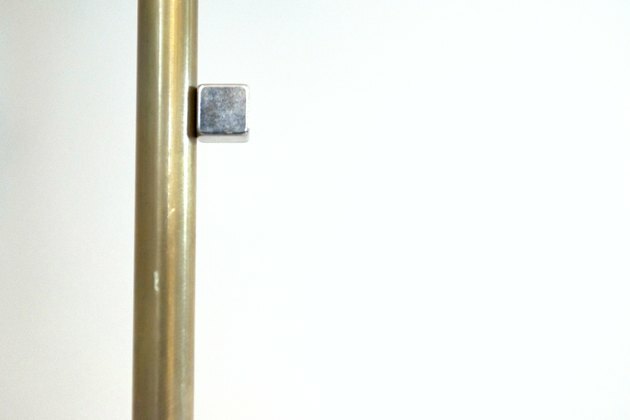 Test your candlesticks with a magnet to see if they are solid brass or brass plated. Touch the magnet to the brass. If the magnet falls, your piece is solid brass; whereas, the magnet will typically cling to a brass-plated candlestick because of the magnetic metal under the thin layer of electroplated brass. 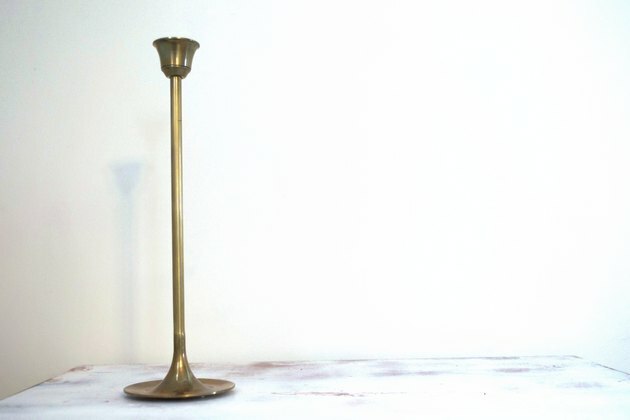 Although you can safely wipe down both types of candlesticks with a lint-free cloth or a solution of warm water mixed with a mild detergent, steer clear of using other cleaning solutions on brass-plated items, as anything more abrasive might damage the thin plating. Because solid, unlacquered brass is exposed to air, it is vulnerable to oxidation, which results in unsightly tarnished areas. Look to your kitchen for food items that can help you remove the discoloration. For example, squirt a little ketchup on a clean, soft cloth and gently rub over the tarnished spots; wipe clean with a damp cloth and buff dry. Or, rub a little plain yogurt over the tarnished brass with your fingers, allow it to dry and buff it with a clean cloth. Another tarnish-cleaning option is to cut a lemon in half, sprinkle salt on the open fruit and rub the lemon over the candlestick to remove the tarnished spots. Buff the piece with a clean cloth to make it sparkle. Even though brass-plated candlesticks are often coated with clear lacquer to protect and seal the thin brass coating from the air, which often oxidizes and results in unsightly tarnish, some solid brass items are also lacquer protected. 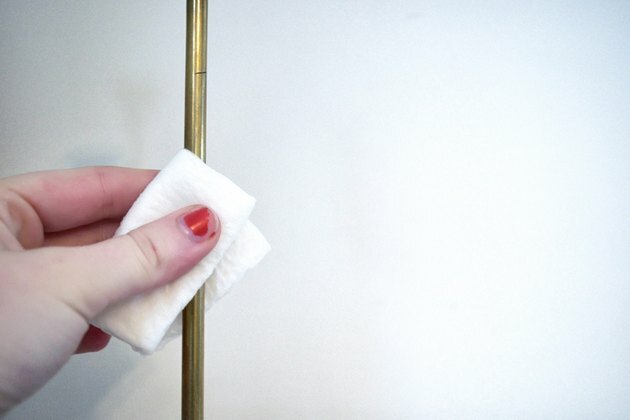 This transparent coating eliminates the need for tarnish removal; however, you can easily get rid of dust from lacquered candlesticks by simply wiping them with a microfiber cloth or a soft cloth dampened with water. 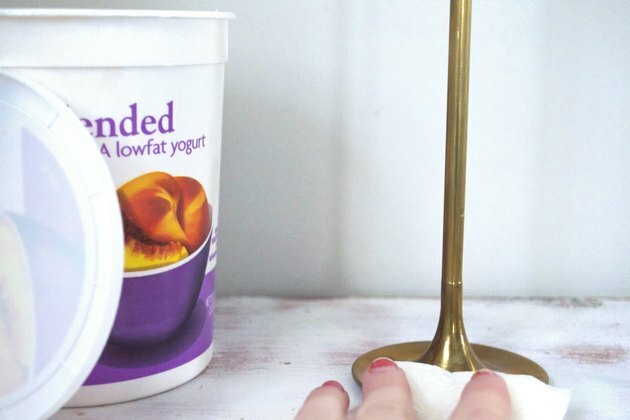 Add a mild detergent to the water to remove fingerprints or other surface smudges. You can help protect your solid brass, unlacquered candlesticks from future tarnish by rubbing the pieces with a small amount of mineral oil to bring out the sparkle and break apart any stains. Mineral oil slows down the oxidation process to keep the items looking brighter longer. Alternatively, you can apply car wax to make your candlesticks shine and inhibit tarnish. Apply the wax and buff it with a clean, dry cloth. Have your solid brass candlesticks professionally lacquered to provide a more permanent, protective clear coating.